Due to recent windy weather, we recommend using the French Road (Golden Flyer Drive) entrance to Nazareth College, as East Avenue north of campus has been closed. You may have trouble accessing campus via N. Campus Drive, but may be able to access via S. Campus Drive. See map below! Regretfully, the WNYATA board has decided to postpone the Art Therapy & Social Action conference scheduled for March 12, 2017. Additional time and resources were needed to ensure that this event reaches its full potential! We would like to reassure members that this workshop is not cancelled, but rather postponed until the Fall. More information will be shared as it becomes available. Our March 12th gathering will be repurposed as a 3-hour 6x6 party! In an effort to honor member feedback from our Annual Business Meeting, we’ve arranged a social gathering to bring together art therapists, artists, clinicians, and friends from our community. 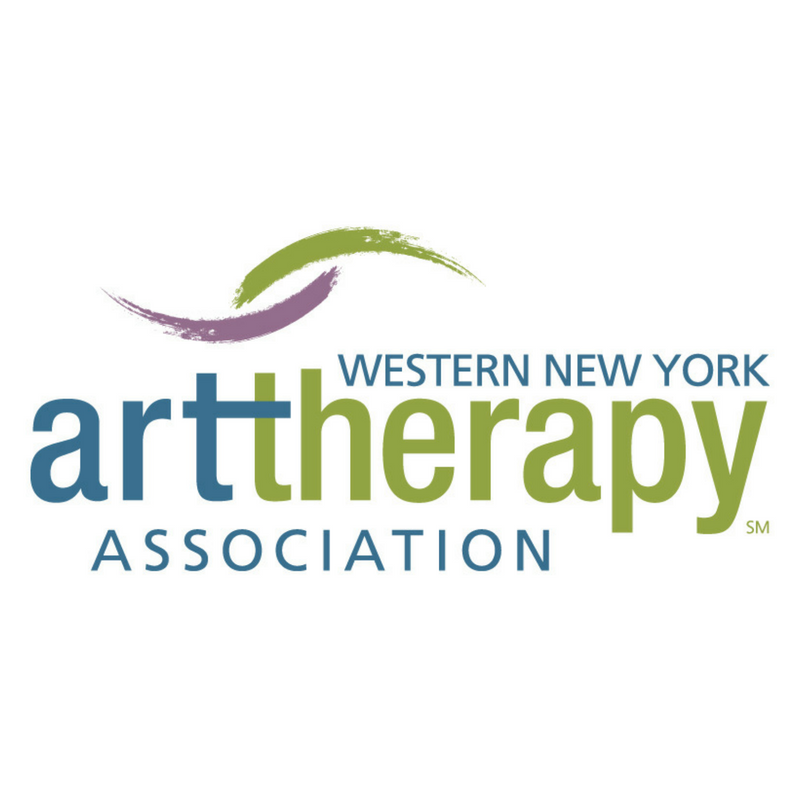 Come meet and greet your local colleagues, artists, and friends interested in Art Therapy. Join us to foster connections with clinicians who share your interests and passions. We’ll bring the supplies – you bring the creativity! Get in the zone with your fellow Art Therapy colleagues, as we gather to create unique pieces of art for the Rochester Contemporary Art Center’s (RoCo) annual 6x6 community art show! Feel free to use our pre-made 6x6 canvases, or bring your own 6x6 surface to embellish; we'll have plenty of supplies available. Artists may choose to submit their artwork to RoCo’s 6x6 show, or take their artwork home. For the past decade, RoCo has built a phenomenal exhibition of thousands of artworks created by local artists, students, children, international celebrities, and more. Each artwork measures 6x6 inches and will be displayed anonymously, creating a mesmerizing grid of community creativity. Entries are then sold at a fixed amount, with all proceeds benefiting the RoCo gallery and its continuing contributions to Rochester’s arts and cultural communities. LIGHT refreshments will be provided, but feel free to bring your lunch! This event is FREE for WNYATA members and $6 for non-members, with all fees helping us cover the cost of materials and refreshments.